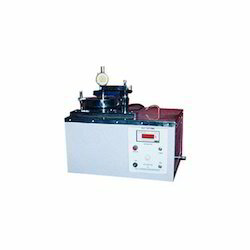 Our company is engaged in offering a qualitative range of plastic testing equipment in various sizes and dimensions. These are strong in quality and easily meet with all the requirement of the clients. 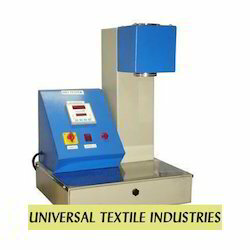 Offered at cost effective prices, our equipments are supplied in safe packing. Dart Impact Tester determines the shock absorbent strength of plastic by letting a free falling dart fall on a sample sheet of plastic. The kinetic energy of the dart is regulated to determine the threshold of strength of the plastic material. The test records the energy it takes for a dart to compromise a plastic sheet under standard conditions. Plastic products are covering the entire market across different segments HDT Tester becomes the necessity when it comes to checking the heat resistance. Heat deflection temperature is an important value for plastics to determine its thermo resistance. 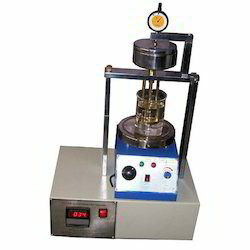 The product uses an oil bath to dip the sample and measure the heat transfer. Loadings : By dead weight to give loads from gm to 1600gm in step of 10gm. 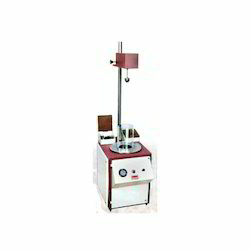 Melt Flow Index Apparatus determines the flow of a given molten mass of a plastic sample. It is one of the important quality assurance parameters in inwards testing. The extrudates are cut off at a uniform time interval to ensure accuracy that complies with international standards. It determines the distance the piston containing the sample travels in a given unit of time. When you want to determine the heat softening properties of thermoplastics then Vicat Softening Point Apparatus [provides you with a reliable test result. The sample is dipped in a liquid bath and is subjected to a compression load above it to determine the point at which a flat ended indenter will go one millimeter into the plastic sheet.